Through our passion for food, drink and good service, Biologen, the aquarium’s restaurant, wants to give its guests an experience. We love to serve all kinds of food and always use the very best ingredients that we are able to source locally. Since we are at Bergen Aquarium, it is natural for us for the main focus to be on fish and shellfish. We feel lucky to have access to ingredients with the best quality in the world. 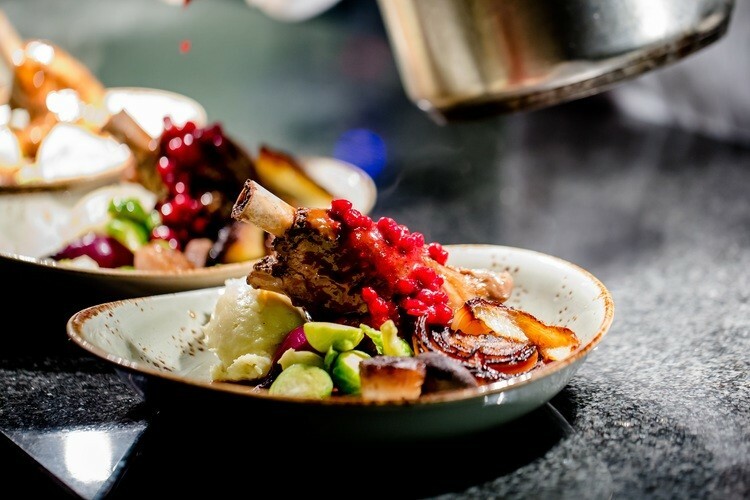 Biologen is a member of SMAK AV KYSTEN (Taste of the Coast) This membership benefits us as it is a culinary network that develops the diversity and quality of Norwegian seafood at selected restaurants throughout the country. The food market at the entrance to the restaurant. It offers ice cream, soft drinks, coffee, hot dogs, yoghurt and other easy food to eat on the go. "With enthusiasm, joy and a touch of madness"